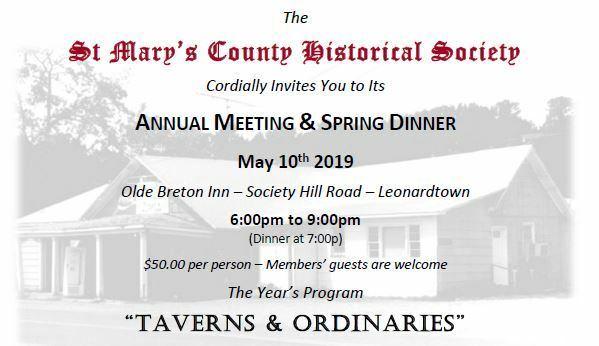 The St Mary's County Historical Society joins with St Mary's County Museums, Historic St Mary's City, the PAX River Naval Air Museum, and Historic Sotterley at the St Mary's County Chamber of Commerce Business Showcase 2019. Come visit us at Booth #45 and learn about how you can discover the rich and varied heritage of St Mary's County. 7:30p - "Ordinaries and Taverns"